All the blocks were made from various navy blue fabrics surrounded by white, expect for the two red and white blocks, which add a pop of colour. 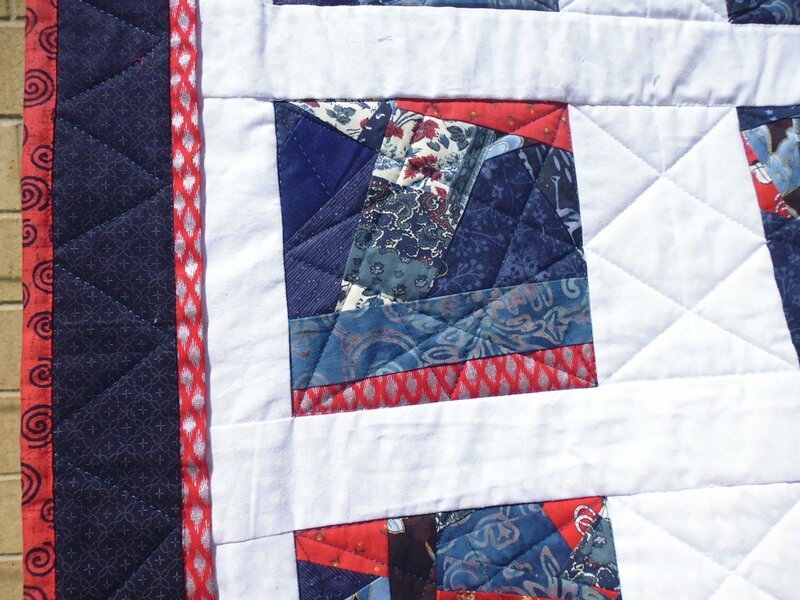 I added a quarter-inch border in bright red fabric to set off the predominantly blue and white colours, then added a wide navy border, with red binding to pull it all together. I quilted most of the small squares with a ‘cathedral window’ (or ‘orange peel’) quilting motif, using a white thread. 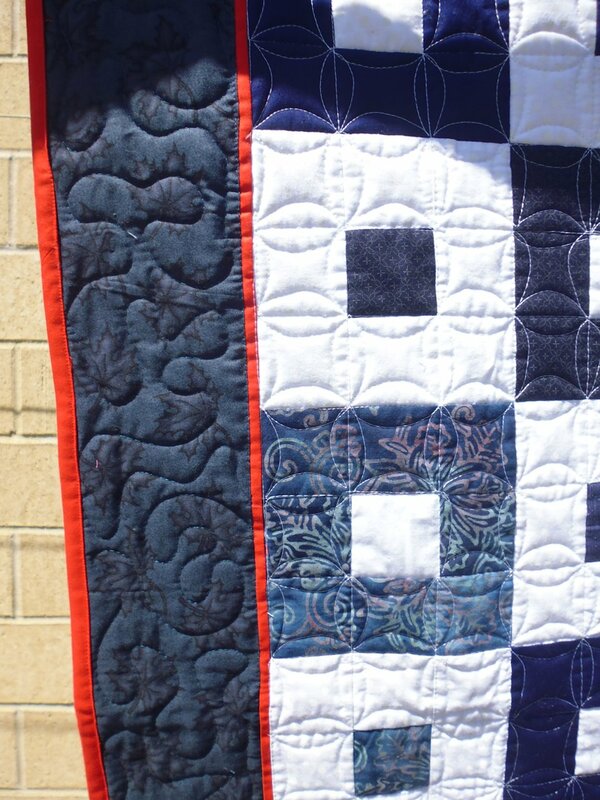 In the large border, I quilted with a large meandering stipple, using a navy thread. I had fun making this ‘improv’ quilt. 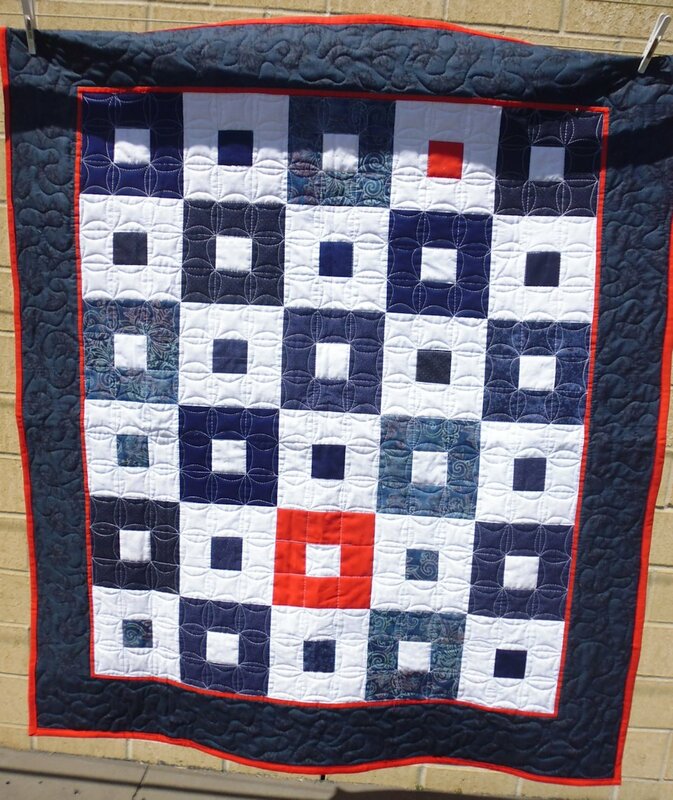 All the blocks are made from navy blue and red fabric scraps that I stitched together, then slashed apart, then joined to other scraps to make my own ‘fabric’. I then cut my ‘made’ fabric into blocks, and surrounded each block with white fabric. 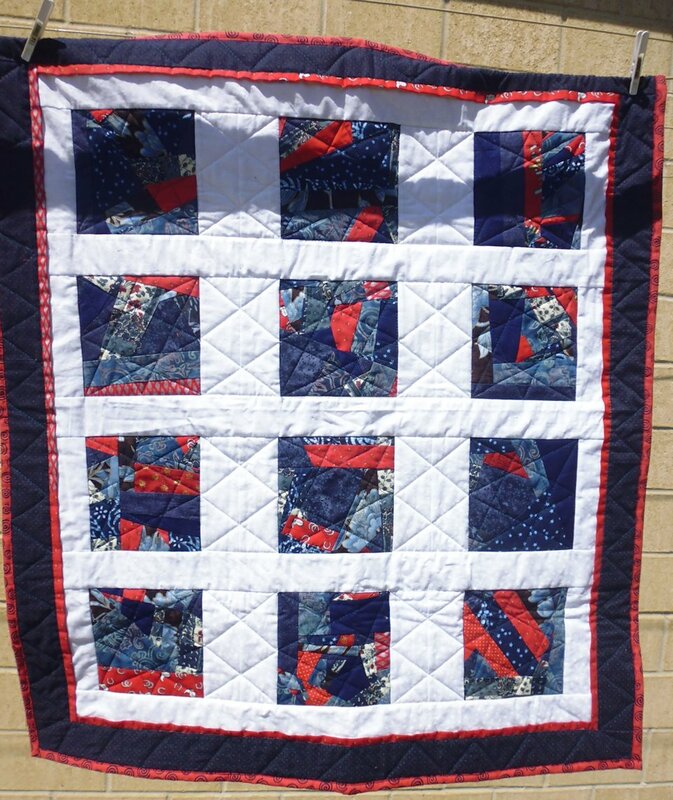 I added a half-inch peeper in various red fabrics to set off the predominantly blue and white colours, then added a wide navy border, with red binding to pull it all together.